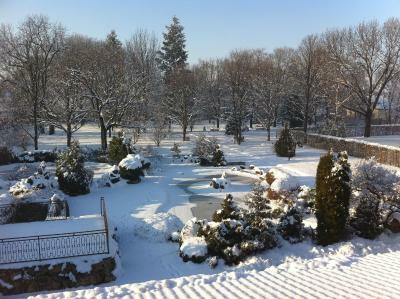 Located in Veľké Bošany, Hotel Dávid is set in a large park just steps from a 17th-century palace. 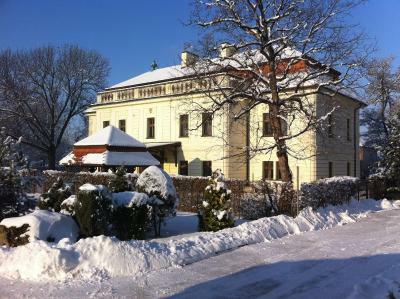 It provides free WiFi and has a restaurant serving Slovak and international cuisine. 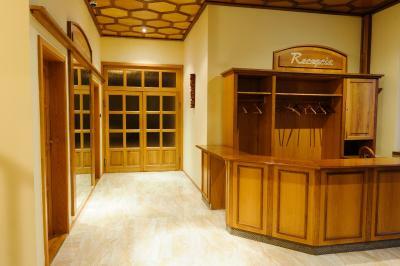 The spacious rooms feature satellite TV and a private bathroom. 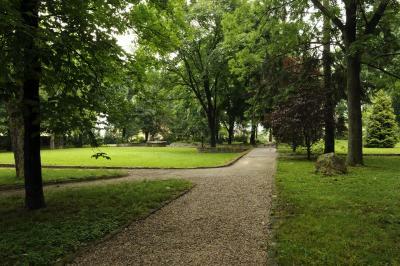 Free private parking is available at the Dávid Hotel. 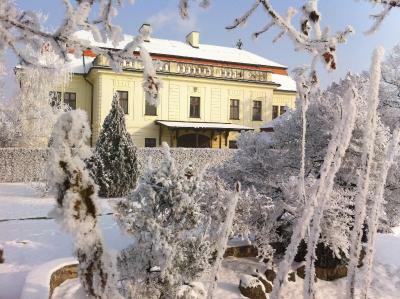 Nitra is 35 minutes away by car, and Piešťany can be reached by car in 45 minutes. 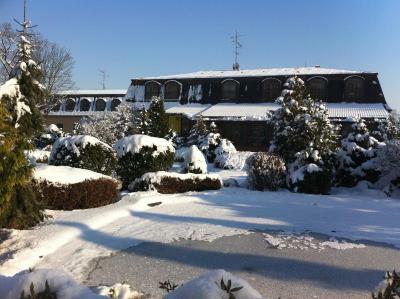 When would you like to stay at Hotel Dávid? House Rules Hotel Dávid takes special requests – add in the next step! Hotel Dávid accepts these cards and reserves the right to temporarily hold an amount prior to arrival. I arrived at David Hotel after 5 hours of non-stop driving - exhausted and hungry. Reception was empty, they didn't expect guests despite I had the reservation via Booking. I asked if I can eat dinner - the receptionist replied "yes, but our restaurant works only until 9 p.m.". She told me that the dinner would cost 10 EUR. Well, the dinner was really good, but I was asked to pay 15,6 EUR - 5,6 was for the beverage! A 0.5 bottle of beer cost me 5,6 EUR when it costs 0,7 EUR in any store. I was not informed that beverages are paid separately, and what a dinner is without any beverage at all? They could have at least told me that tea, coffee or beer will be paid separately - this would be really fair. As I said, I was too tired and decided that it makes no sense to dispute about it. My room was very old, not very clean, old-school WC pot was looking like it's going to fall apart at any moment, in order to close the door you need to press it really hard - plenty of such sad moments which seem to be very easy to fix. The impression is like from a cheap hostel where I know that I pay little money and get little comfort. The stay in David is not expensive, of course, but the value for money ratio is very poor. I know that probably the administration will now leave their reply here explaining why I am wrong, but please - just consider the things I say and your guests will be much more satisfied. No reception 24h. Just 1 power socket in the rooom and another in the toilet. No variety in the breakfast. Looks like a familiar hotel with no structure for a hotel. No noise around. Calm and quite.